Quality department personnel, engineers, supervisors, product and process engineering. Screening Experiments are the most powerful of Design of Experiments techniques for uncovering the power factors in a manufacturing process. With a small number of experimental runs and very little data, you can make significant improvements to processes. The most common screening experiment techniques – Taguchi and Plackett-Burman techniques are covered in detail in this course. Now you can learn how to conduct DOE screening experiments with this comprehensive online training program in the comfort of your own office. By learning the powerful Design of Experiments techniques developed by Plackett-Burman and Taguchi you will be able to set-up and conduct your own in-house DOE screening experiments without outside consultants or seminars. Because this training is self-paced, you can develop your own experimental design as you go through the training. DOE worksheets and step-by-step DOE instructions will guide you through the process. If your company is implementing a lean six sigma initiative, you know how important it is to optimize your manufacturing processes with DOE. 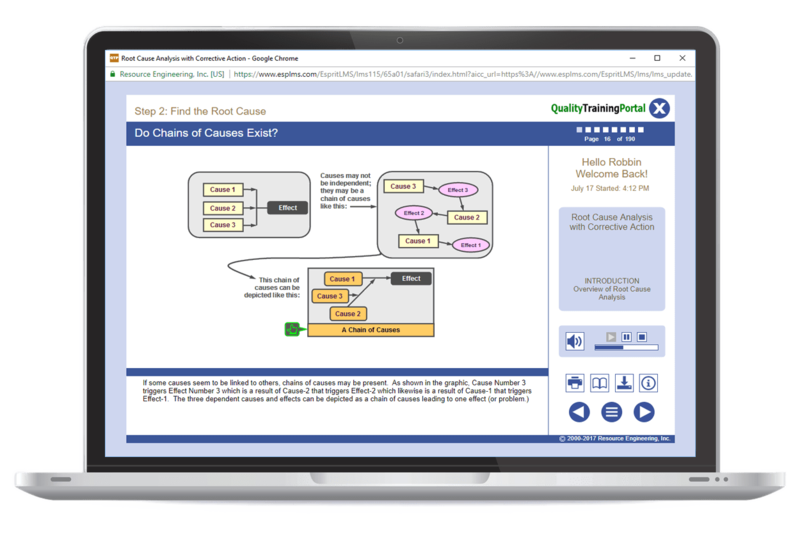 This Design of Experiments training course will give you the tools you need to get the most from this powerful statistical quality improvement technique. Describe why design of experiments (DOE) are more efficient and effective than one-at-a-time (OAT) experimentation. Distinguish between various types of designed experiments and identify when they are best used. Conduct a Plackett-Burman DOE and then analyze experimental results and calculate the statistical significance of factor effects. Explain how Taguchi techniques focus on the robustness of the product and describe how the Quality (Taguchi) Loss Function is used. Determine the proper Taguchi design to use for a specific application. Salvage experiments if data are lost. A basic understanding of statistics and concepts of variation. Basic SPC and Advanced SPC or the equivalent. Lesson 1 | Why DOE? Limitations of OATs (one-at-a-time) experimentation. How designed experiments overcome the limitations of OATs and are a more effective and efficient way to characterize and improve processes and products. An explanation of the key terms used in designed experiments. The derivation of Plackett-Burman designs. Ways to determine the experimental error. Techniques for analyzing experimental results. Multiple techniques for testing the statistical significance of factor effects. Using graphical techniques to analyze responses and interactions. Developing a prediction equation using factor effects. Using the prediction equation to optimize the process or product. How to analyze variation as a response. Creating a scree diagram to graphically analyze factor effects on variation. The need for good planning to prevent problems. Some techniques for salvaging an experiment if data are lost or suspect. Taguchi designs for two-level experiments. Use of Taguchi Interaction Tables. Use the mean, signal to noise ratio, and variation effects to determine where to set factors. Why design of experiments (DOE) are more efficient and effective than one-at-a-time (OAT) experimentation. What the major terms used in designed experiments mean. Types of designed experiments and when they are best used. How to use basic tests of significance. How to plan a designed experiment. How Plackett-Burman designs were derived. How to determine which Plackett-Burman matrix to use for your application. How to estimate the experimental error in Plackett-Burman experiments. How to analyze experimental results and calculate the statistical significance of factor effects. How to develop a prediction equation that can be used to optimize the response. How to salvage experiments if data are lost. Why Taguchi techniques focus on the robustness of the product. How the Quality (Taguchi) Loss Function is used. How to calculate and use Signal to Noise ratios. How Taguchi designs were derived. How to determine which Taguchi design to use for your application. How to use Taguchi interaction tables. How to test the statistical significance of factor effects. How to use mean, S/N, and variation effects to determine where to set factors.